In collaboration with LUX and the Ian White Estate, the ICA is pleased to present the second Ian White Lecture, given by art historian and critic Elisabeth Lebovici. This annual series celebrates the provocative and enquiring spirit of artist, performer, curator, educator and writer Ian White (1971–2013). The invitation to write and present a new lecture is extended to an individual whose work shares and carries forward this spirit. Lebovici’s lecture explores new lines of thought while also drawing on the breadth of her work as a writer and educator since the 1990s. Lebovici’s writing is primarily focused on the relationships between feminism, activism, queer politics and contemporary art. Her recent work has included collaborative research into Francophone lesbian culture, as well as writing focused on gender and reproduction in relation to the art of Philippe Thomas, and AIDS activism in France during the ‘80s and ‘90s. Across these areas of inquiry lies an engagement with the networks formed in the absence of – and in antagonism towards – the nuclear family, as both a reproductive system and a heteronormative form. Lebovici’s lecture addresses the modes of implication and pleasure that occur within these networks, while also recognising their precarious vulnerabilities. Elisabeth Lebovici is an art historian and art critic living in Paris. Among many other essays and edited publications, her latest books include What AIDS Has Done to Me. Art and Activism at the End of the 20th Century (JRP Ringier/Lectures Maison Rouge, 2017) and The Name of Philippe Thomas (Sternberg Press, 2018). She has served as a lecturer at Sciences Po and EHESS (Ecole des hautes études en sciences sociales) in Paris. Since 2006 at EHESS, Lebovici has organised the weekly seminar ‘Something You Should Know: Artists and Producers’ with Patricia Falguières and Nataša Petrešin-Bachelez. 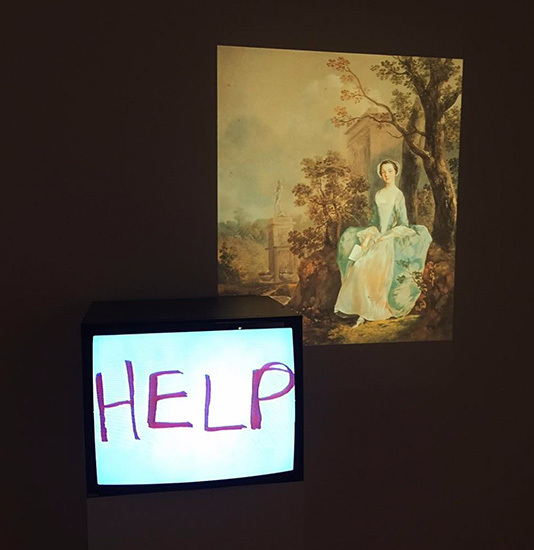 By the time of his early death in 2013, Ian White was a uniquely influential figure: an artist, performer, curator, teacher and writer, whose ideas had affected a generation of artists working with the moving image. Throughout his various roles, he developed a constellation of concepts around ‘cinema’ – understood by him less as a physical space, or a particular canon of films, but rather as a set of social practices open to radical (political) possibilities.